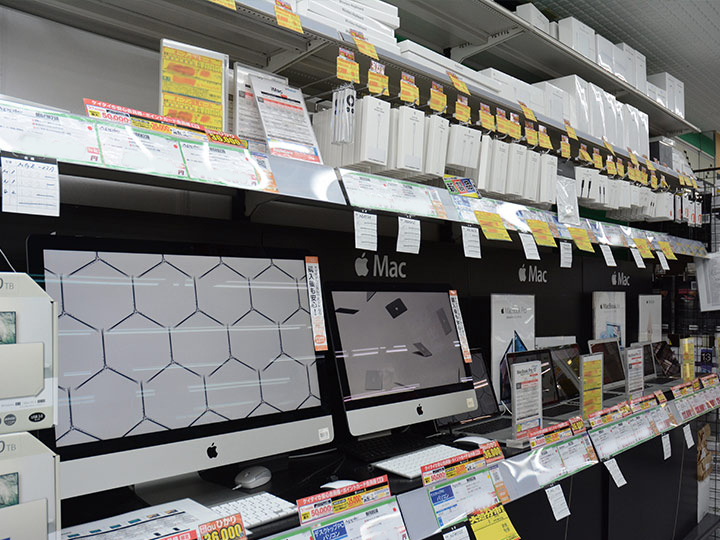 LABI Akihabara PC Store - Yamada Denki Co., Ltd. The whole building is a duty-free pavilion. Nice to meet you. 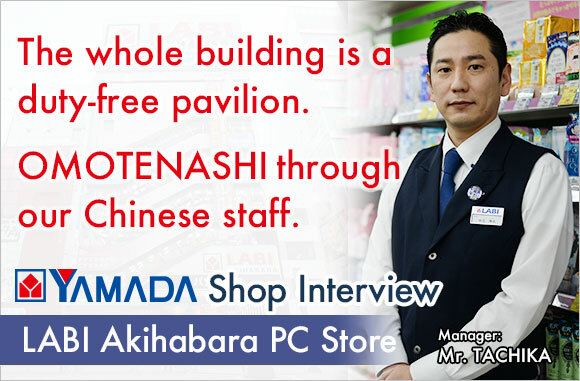 I am kuma, the manager of LABI Akihabara PC Store of Yamada Denki Co. Ltd. 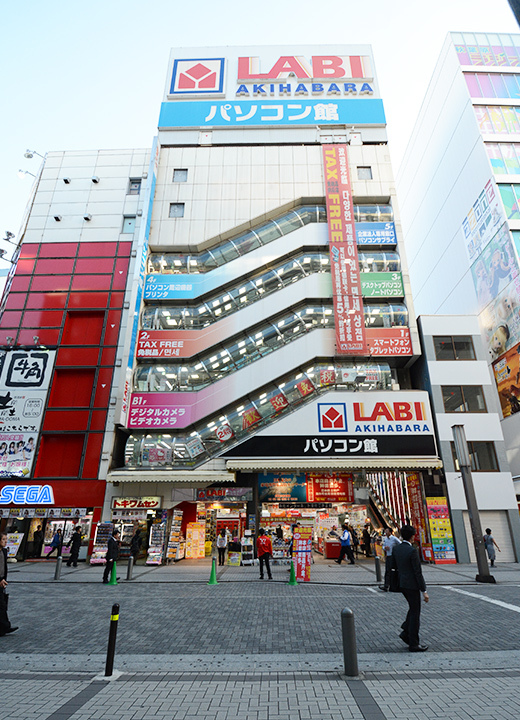 The store is located straight in front of the Electric Town Exit of JR Akihabara Station. So, it would be very easy for the first-customer to visit us without getting lost. 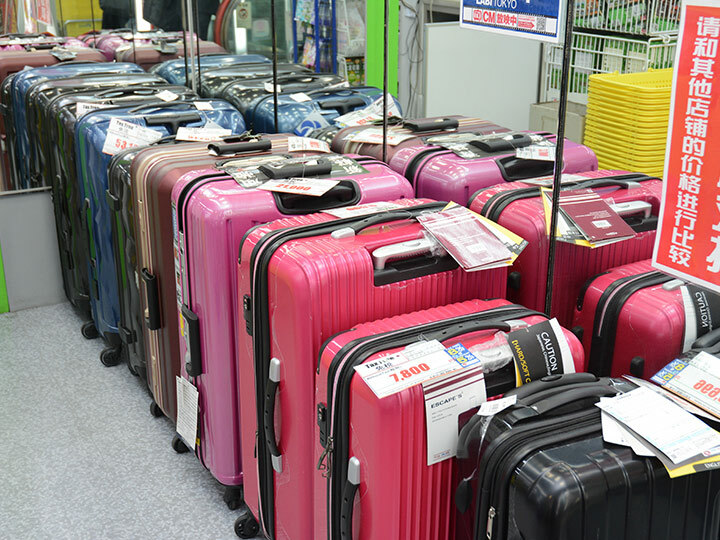 We sell duty-free items mainly in the second floor and accommodate our customers from overseas in this floor essentially. 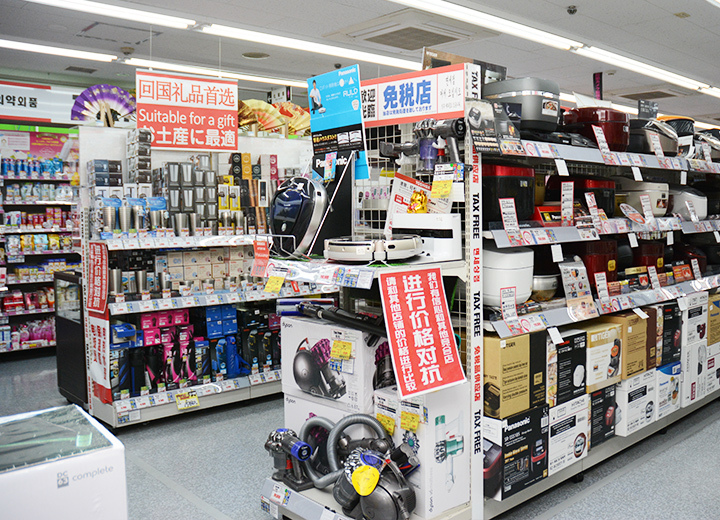 Moreover, foreign customers can purchase all the items free of tax not only in the second floor but in all the floors from the first basement to the fifth floor. You may think that the whole building is a duty-free pavilion. 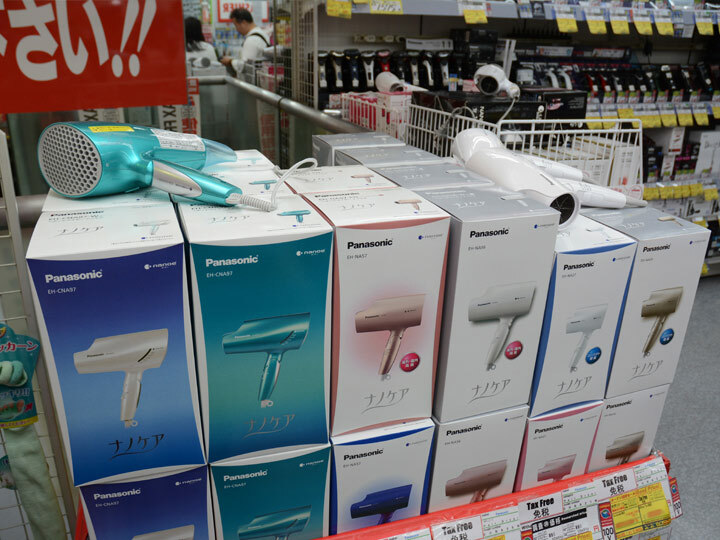 In the duty-free floor of the second floor, popular items with high needs of foreign customers including health and beauty devices, home cooking appliances and cleaners made in Japan are always on display with sufficient stock. 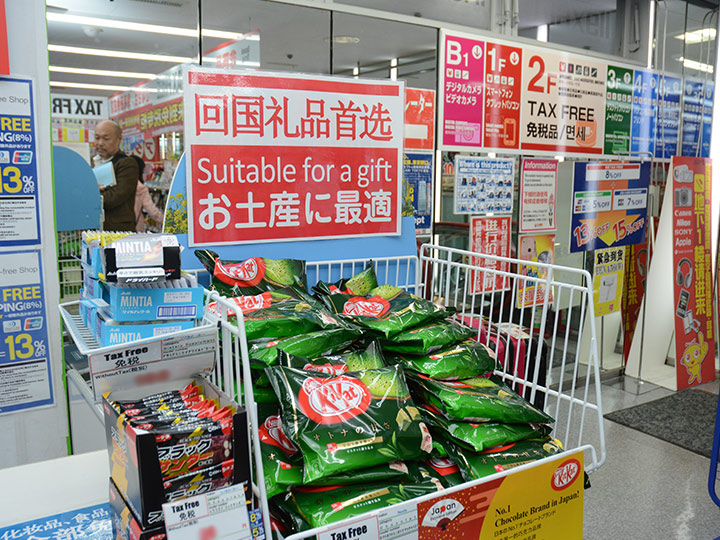 Also, we carry Japanese sweets, snacks and health foods that are standard gifts and souvenirs. I always check on popular items at other shops and introduce those to our store at any cost without fail. 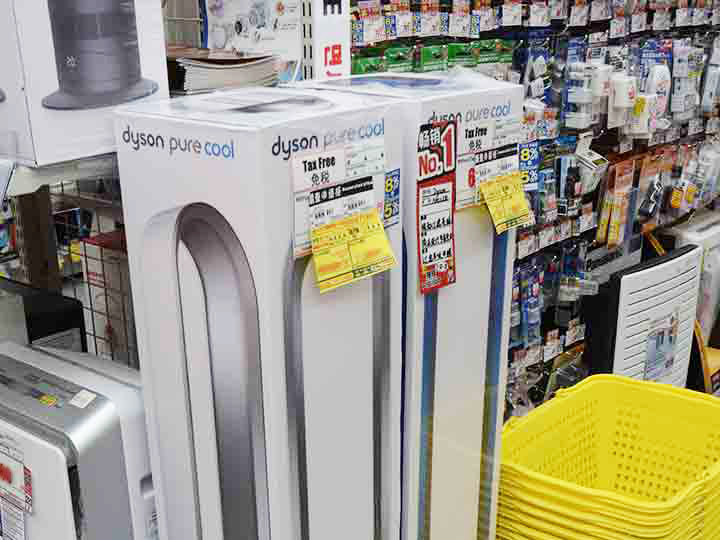 If we find that an item is missed out, we ask about the item to the customer and obtain it. So, please ask our staff about any item first, when you visit us. 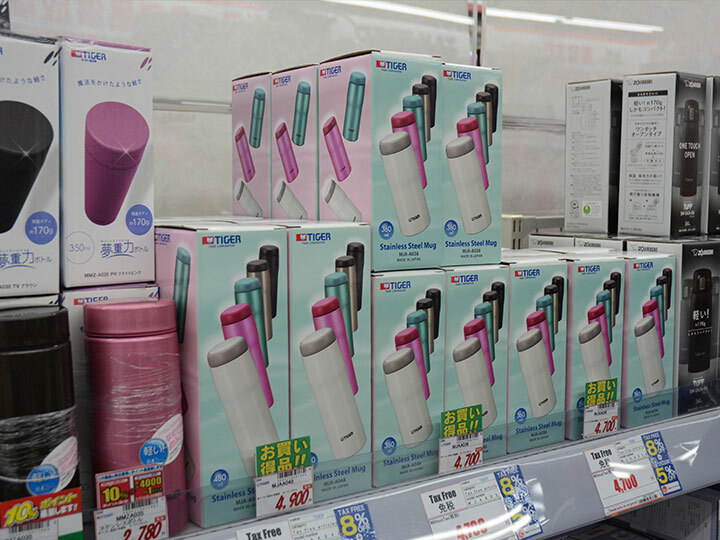 My most important job as a store manager is to “seek for things that would please our customers day by day” for the sake of both Japanese and foreign customers. 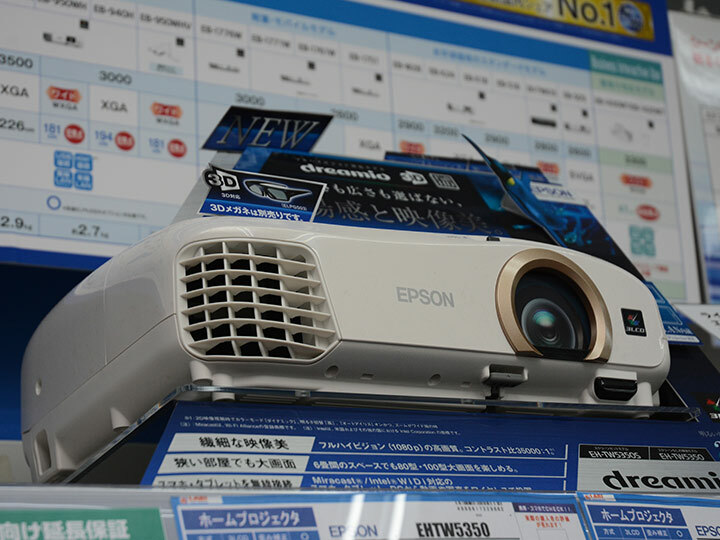 Over the past year, foreign customers increased rapidly at our store. Especially, we have more customers from China and Taiwan. So, I think desperately how we could please the customers from these countries. And, one of the answers to this question is to convey the Japanese way of OMOTENASHI, or hospitality, and services through our Chinese staff. 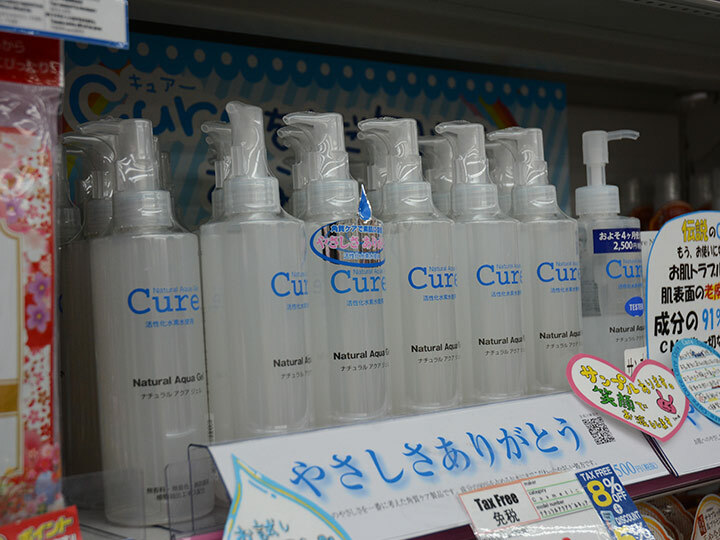 It is basic and natural to give the in-depth explanation of items. 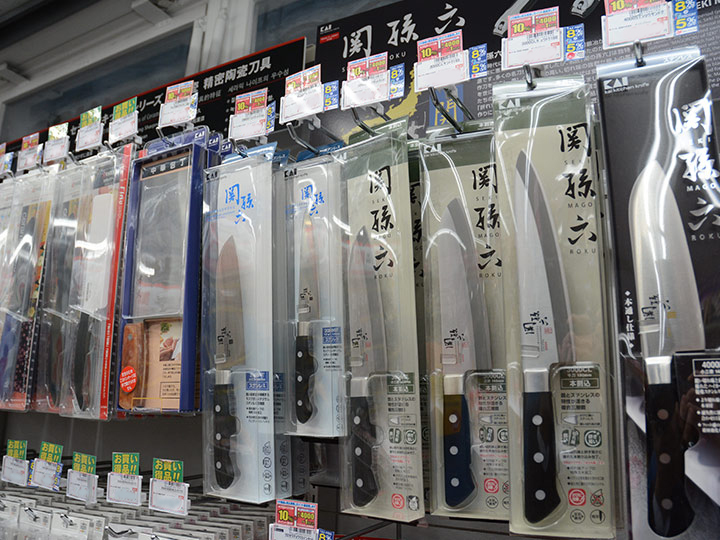 Furthermore, as we would like to support the foreign customer’s trip in Japan, we are willing not only to sell commodities but also to assist with any problem in travelling, directions in Akihabara area and advice on restaurants around the area. 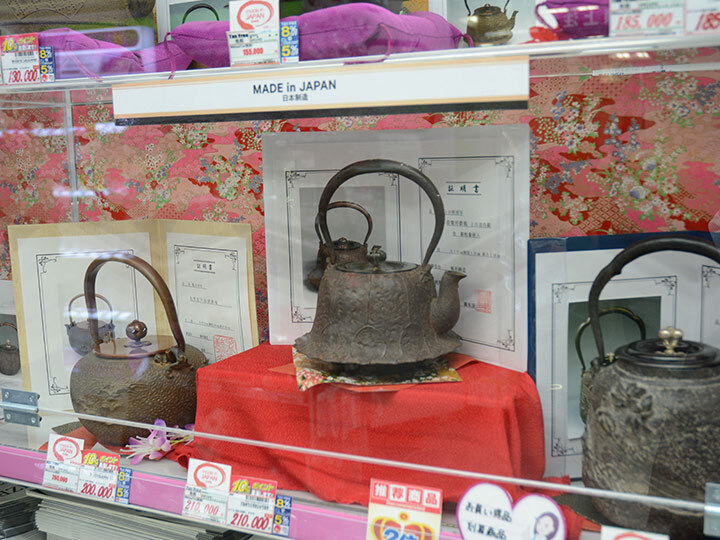 To realize these services, we have our 12 Chinese staff learn Japanese culture. The staff can only master and practice Japanese OMOTENASHI naturally when they understand Japanese culture deeply. Each member of our Chinese staff understands this idea. So, please try to talk to our staff freely, and you find them different from the sales staff of other shops. 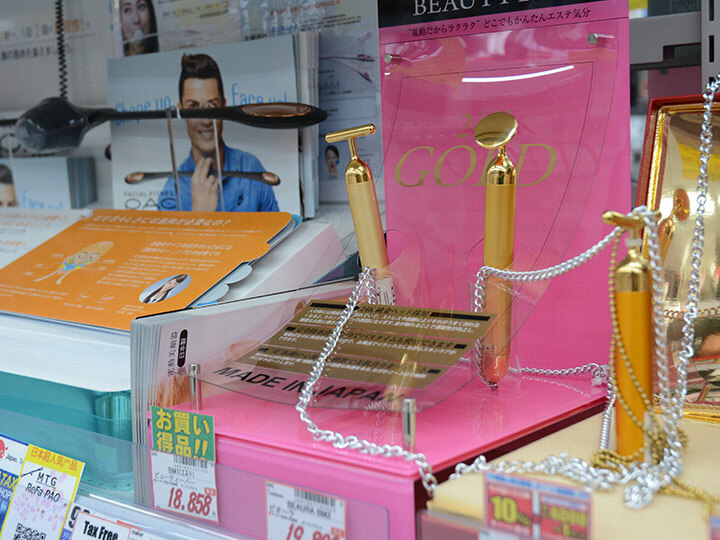 Through my work in the duty-free section of our store, I pause to realize how polite and courteous Chinese people are. We can see it from their politer responses to our services and assistants. 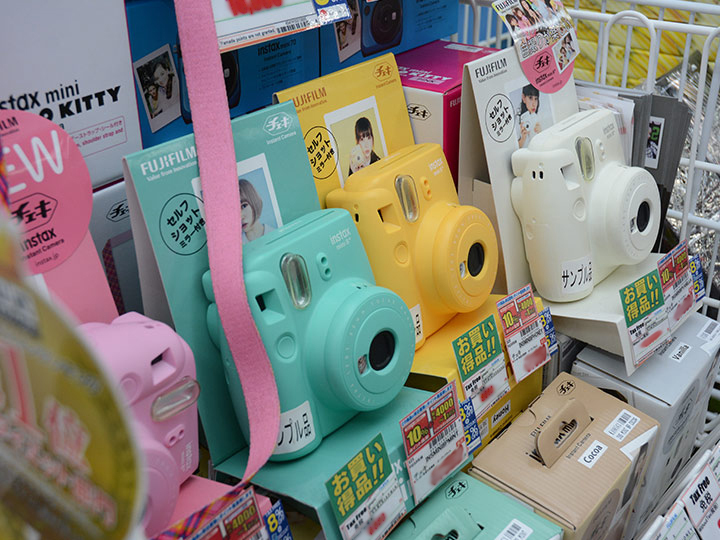 There are many duty-free shops standing side by side in Akihabara. Once you visit our store, you will find the difference for sure. 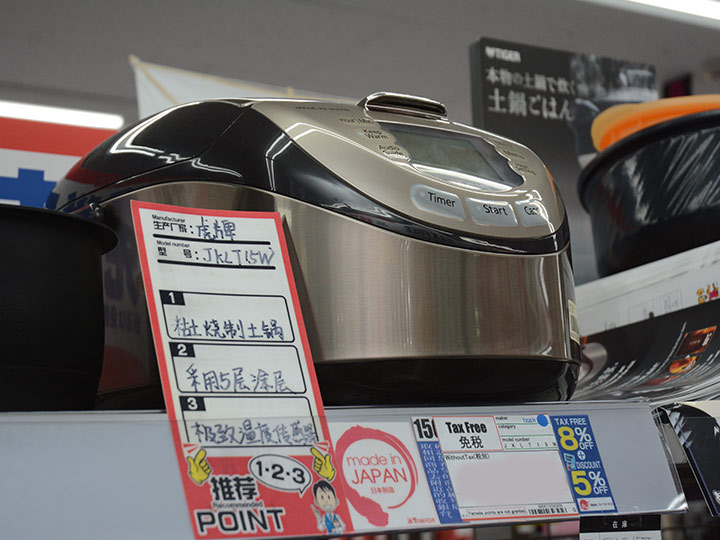 Besides, Yamada Denki is the top sales volume retailer of home electronics in Japan. Showing our top-sales ability, our wide selection and good pricing will fully satisfy customers from overseas. 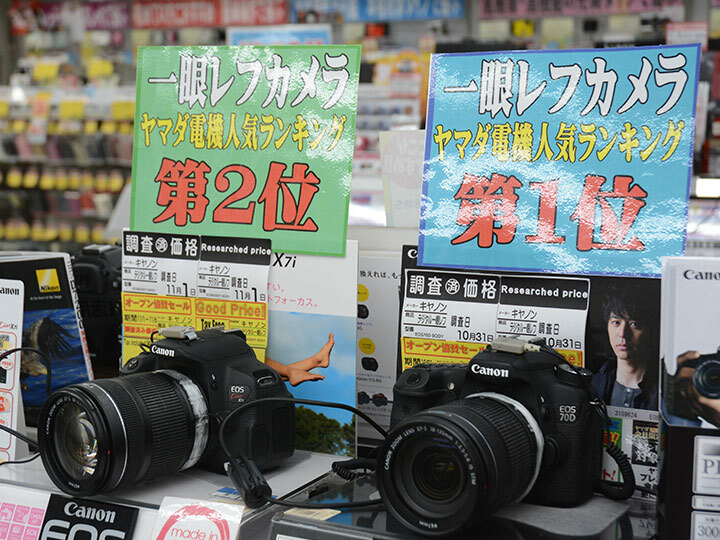 14.If you are looking for a digital camera, please go to the first basement floor.